Are you thinking of visiting Paris? Paris is easily one of the most beautiful European cities, and one you can return to time and again and you will still have a lot to see. Filled with amazing architecture, museums, boutiques, cafés, brassieres and antique shops, you can’t go wrong by simply wandering around the town and getting to know a feel for the place. I found that I easily lost myself for hours by meandering down the little cobblestone roads to take photos. There is no better way to start your 3 day trip than visiting the famous attractions. Every great city has a great cathedral and Paris is no exception. The pNotre Dame is the cathedral you must see. I recommend climbing to the top of the Notre Dame to see the mesmerizing view of Paris. You can’t walk around to view the place, check out the interior of the cathedrals and gardens. You can also see the crown of thorn of Jesus inside the Notre Dame. About 5 minutes walking distance, you can visit the Shakespeare & Company, the most famous independent bookstore in the world. The four “Shakespeare & Co” bookstores in New York City, which opened starting in 1981, are not affiliated with the Paris store. From there you can walk for another 5 minutes to reach Sainte-Chapelle , a gothic style royal chapel. It was built-in the 13th century by King Saint-Louis to house his collection of religious relics. 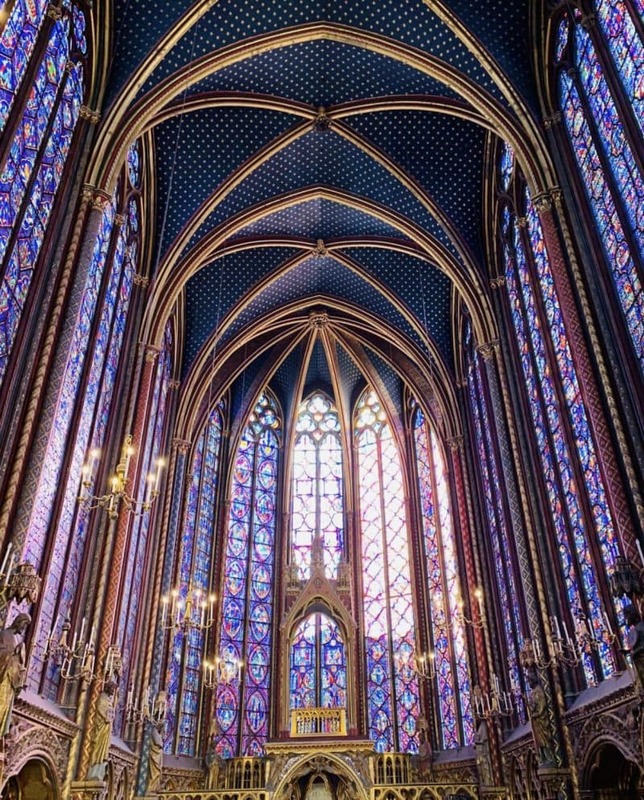 The Sainte-Chapelle is visited for the beauty of its stained glass windows, among the most sumptuous in the world. My next stop was The Jardin du Luxembourg, known as Luxembourg Gardens in English. Located just 15 minutes away from Sainte-Chapelle. The gardens were created in 1612 by Queen Marie de Medici, inspired by the famous gardens in Florence . Wander the gardens and you will find notable European women and French queens and, interestingly, a miniature replica of the Statue of Liberty. 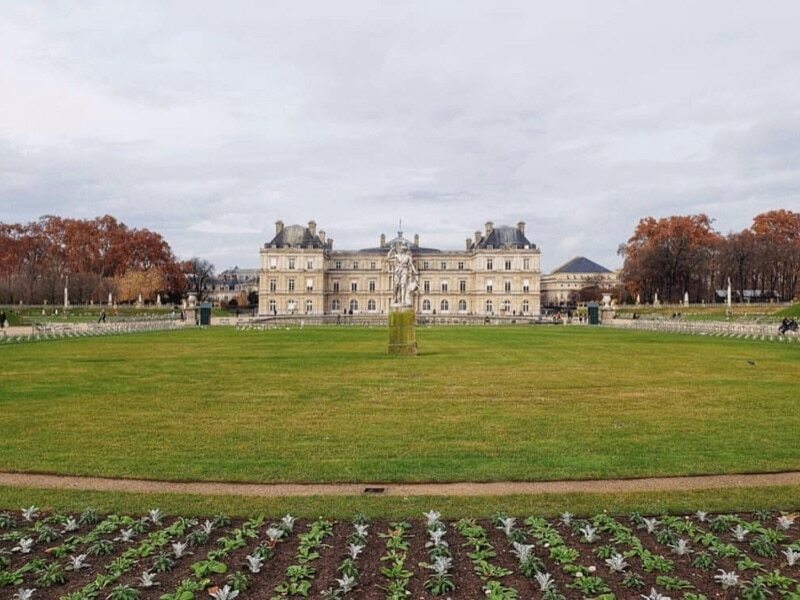 On the park’s northwest end you will find the Luxembourg Museum (Musee du Luxembourg). 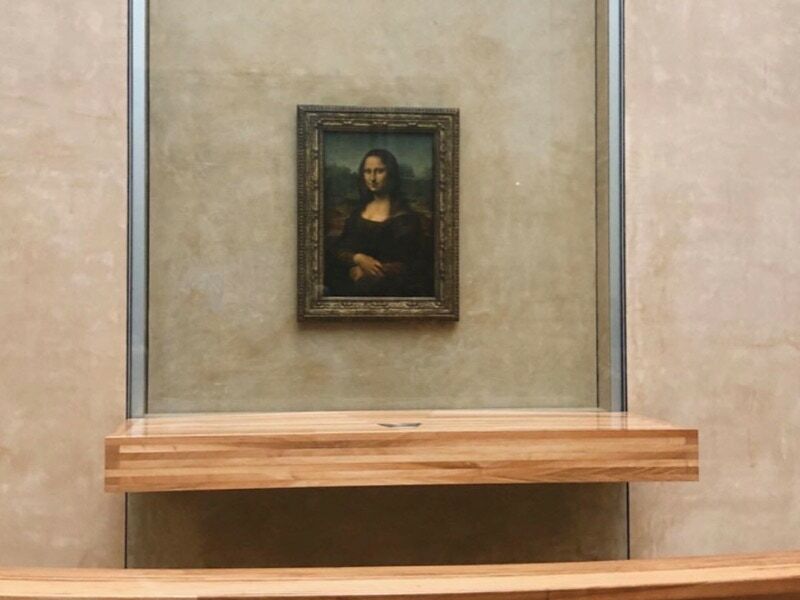 No trip to Paris is complete without visiting the Louvre. It is an 20-minute walk from the Luxembourg Gardens. The museum contains over 35,000 pieces of artwork so unless you plan on spending a couple of weeks there don’t expect to see everything. Before arriving its best to research and decide what you want to see. Most people come to see the Mona Lisa, Venus de Milo, The Wedding Feast at Cana and the Winged Victory Statue. Keep in mind there are other departments like Islamic Art, Egyptian Antiquities, Greek, Roman and Etruscan Antiquities and more. While walking through the neighborhoods, you will see many boutiques, beautiful architecture, and restaurants. At St. Germain, you can eat at Egg & Co. They offer some of the most delicious egg dishes. The best time to visit the Eiffel Tower is right before sunset. There is nothing more beautiful than watching the sunset over the Eiffel Tower. It is a 30-minute metro ride from Louvre. Here are some tips and things to know before visiting. 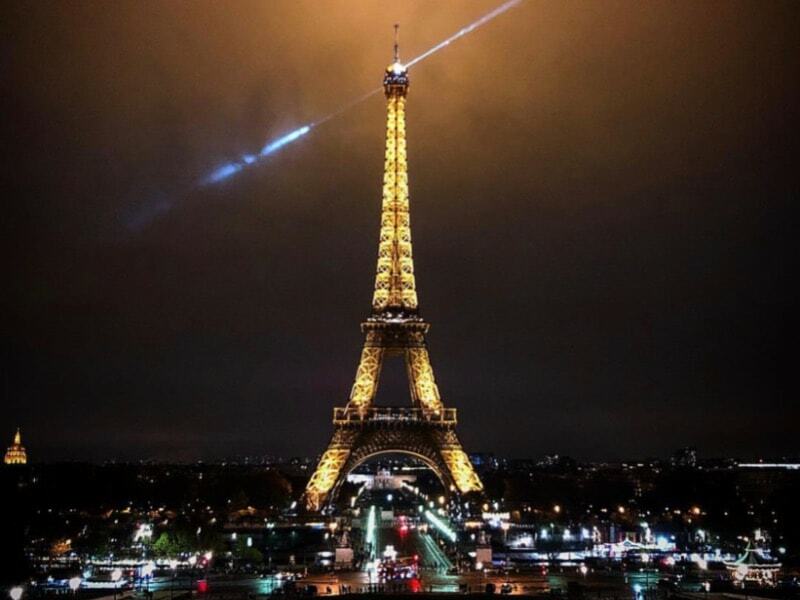 The Eiffel Tower opened in 1889, and today it receives over 7 million visitors every day. To this day the Eiffel Tower is still the tallest structure in Paris and it’s also the most visited paid-entry monument in the world. The restaurants in the tower would make for a romantic spot for your evening meal, and a wonderful way to end your first day exploring Paris! If you do choose to do this, we’d definitely recommend booking in advance so as not to be disappointed. You can start your next day by visiting Le Marais. 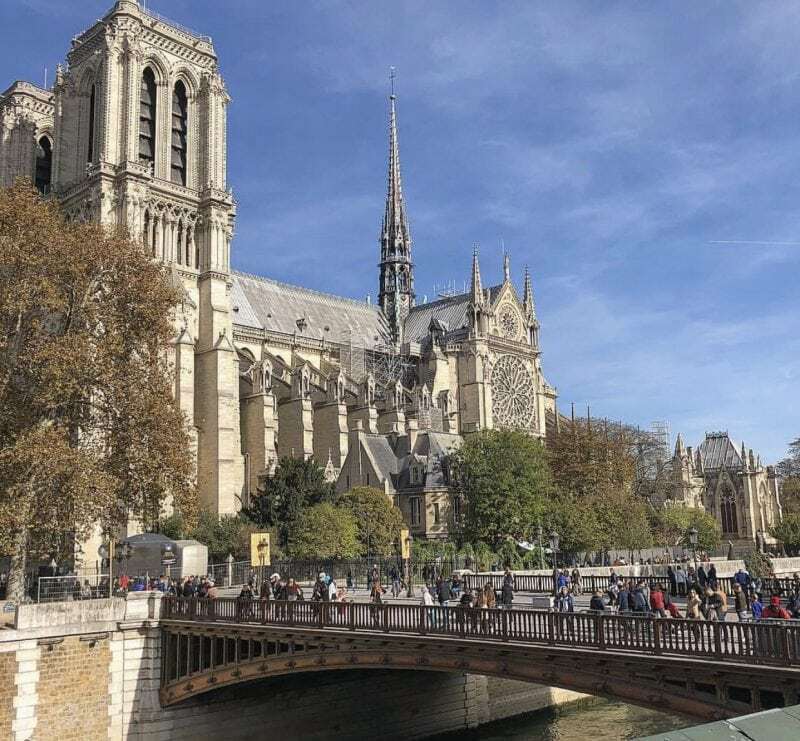 The historic district spreads across parts of the 3rd and 4th arrondissements in Paris and is popular for its architecture, antique stores, and art galleries. It reminded of the West Village in Manhattan, New York. It is better to start from Place des Vosges and take a stroll in this historic quarter. You can even visit the mansions and private museums like The Musée Picasso (The Picasso Museum) dedicated to the work of the Spanish artist Pablo Picasso. This is a great neighborhood to get coffee! 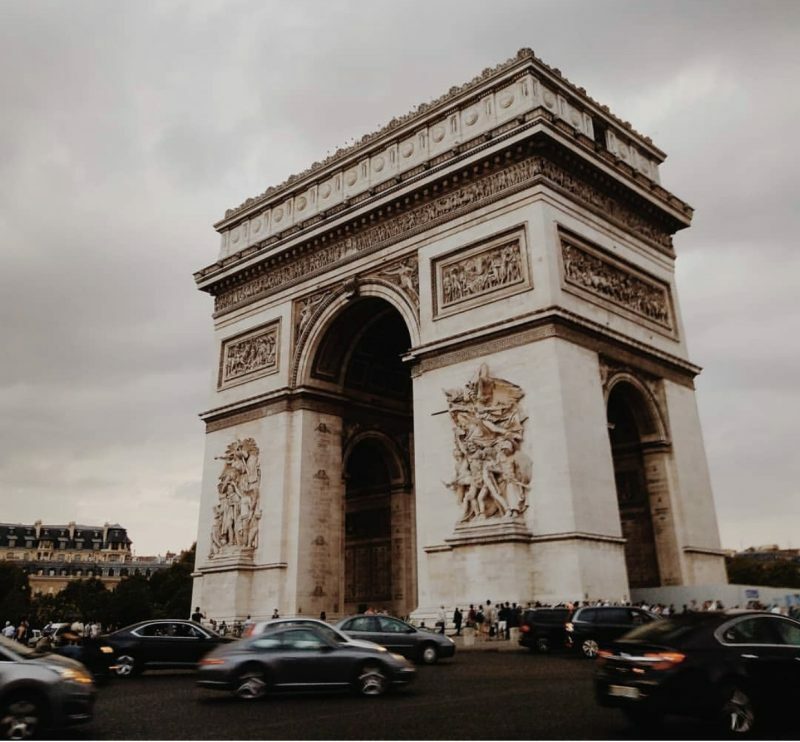 Head to the Arc de Triomphe for breathtaking views of Paris. The world-famous structure which was commissioned in 1806 and its construction finished in 1836. The primary purpose of the monument was to celebrate the victory of Napoleon. 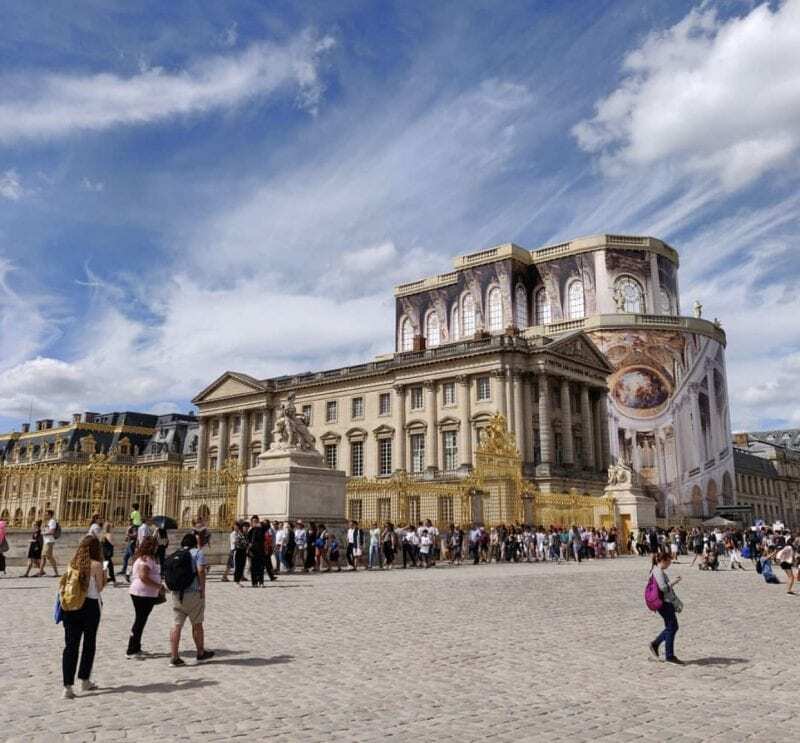 Just standing there, the guests can view the Place de la Concorde and Louvre as well as many other popular sights. The arch is easily accessible by using the Metro (subway). You just take the exit at Etoile station at Charles de Gaulle. Or if you’d like, you can also walk down the Champs- Elysées and for sure you can’t miss it. 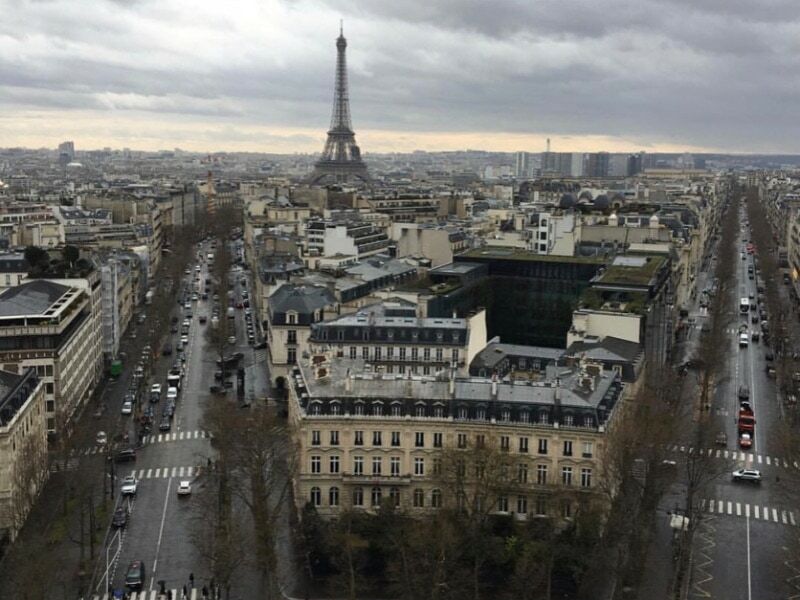 After that I strolled down to the Avenue des Champs–Élysées, one of the most famous shopping streets in the world. With over 300 000 daily visitors, it’s great for its majestic monuments, enjoy a shopping spree, or get caught up in the excitement of the major festive events that are organized here. 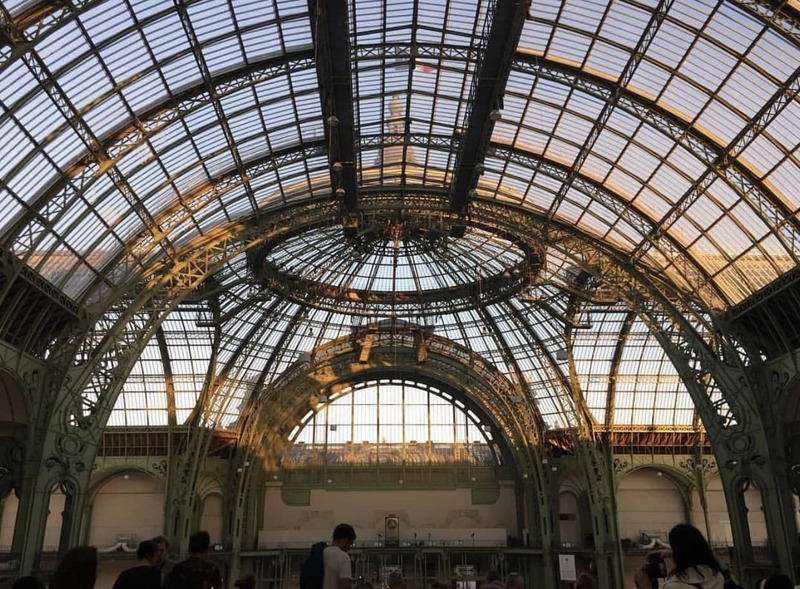 If you’re keen to visit an exhibition, there is a Paris must-see only a short distance from the Champs-Élysées roundabout: the imposing Grand Palais. Built for the Universal Exhibition in 1900, this monument hosts the supersize exhibitions held in the French capital. And, just across the street, you can admire the superb collection of artworks at the Petit Palais. 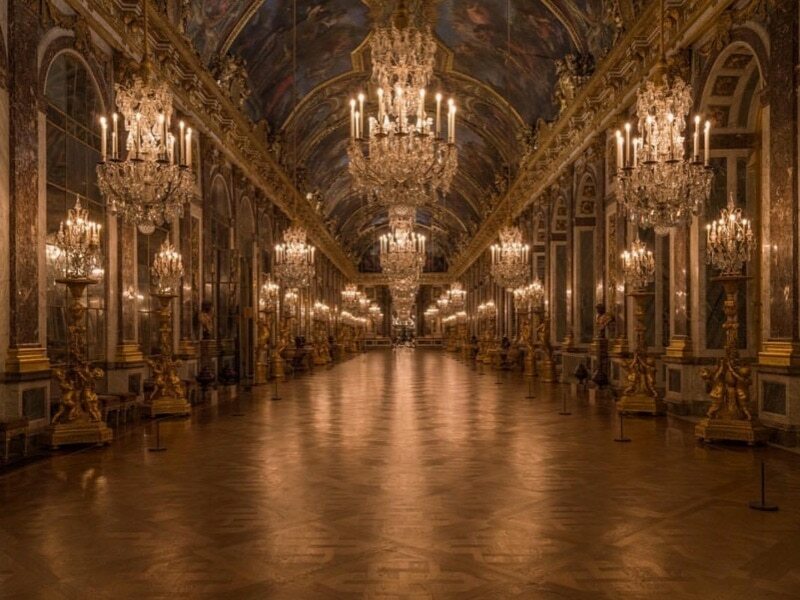 The next stop was Versailles. People mostly spend the whole day there, but I decided to spend half a day because I had only 1 day left to see this beautiful city. I took a tour of the chateau (castle) and went to the gardens for a stroll. I walked through the garden to the Queen’s Hamlet. The Hamlet was created for Marie Antoinette as an escape from the pressures of court life. Here she could immerse herself in the fantasy of a simple life as a country girl or make-believe that the small thatched farmhouses and water-mill were part of her family’s country retreat in Austria. I’d recommend purchasing a ticket HERE in advance to avoid waiting in line for 20-60 minutes when you arrive. 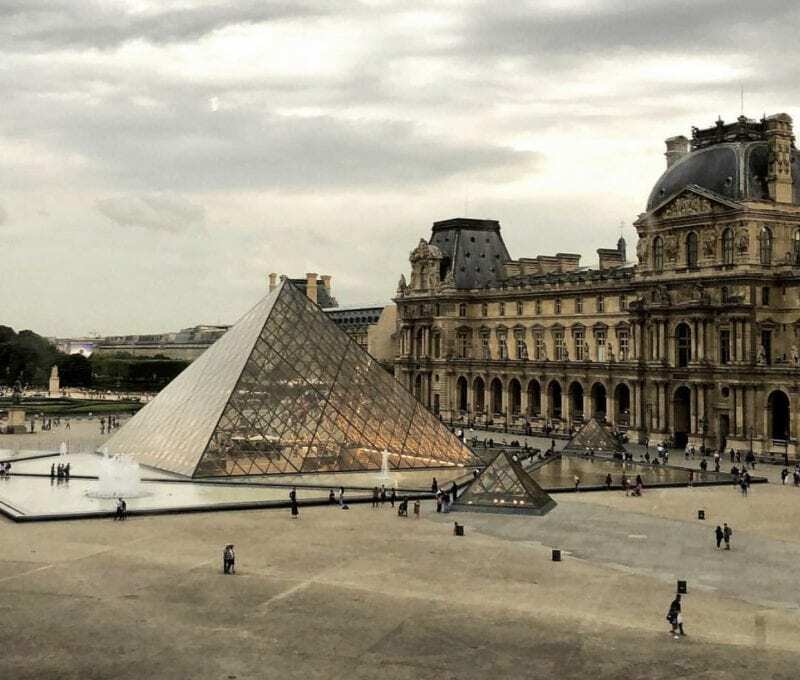 Known as the arts capital of the world, Paris houses over 150 museum. I decided to visit the The Musée Rodin and Centre Pompidou. Both these museums are great places for art enthusiasts. The Rodin Museum, was created in 1916 by Auguste Rodin. The museum features the majority of the artist’s sculptures and work in the Hotel Biron, a charming 18th century mansion that is surrounded by 3 hectares of peaceful and romantic gardens. The Centre Pompidou has the largest collection of contemporary modern art in Europe. On the last afternoon of my trip, I went to Montmartre. I climbed to the top to enjoy the magnificent views and I even visited the Basilica. It is home is to Sacré–Cœur. The second most popular church and second highest point of Paris. Both the dome and the bell tower see 91 meters tall. 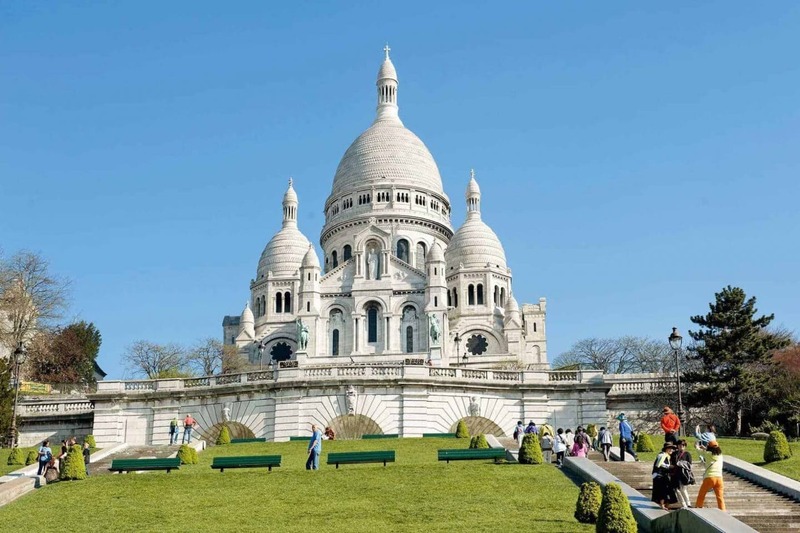 So, the total height of the Sacre-Coeur is of 213 meters above the sea level. The area on top of the Montmartre hill has always been chosen by the believers, due to the feeling of being closer to the sky, which holds the idea of being closer to god, to heaven and forgiveness in Catholicism. 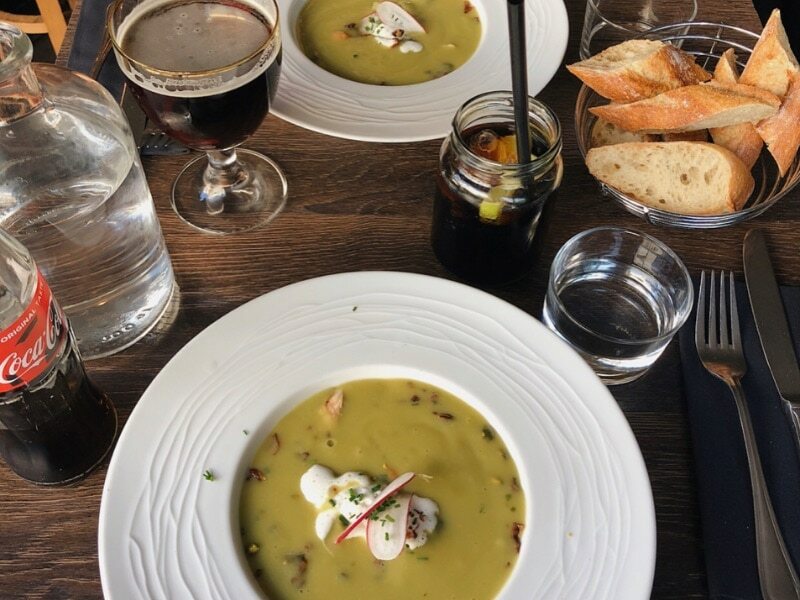 For dinner, I went to La Boite aux Letters in Monmartre to try their delicious and mouth-watering French cuisine. They had interesting combinations in modern French styles.